Welcome to faster, simpler scheduling for your video meetings. 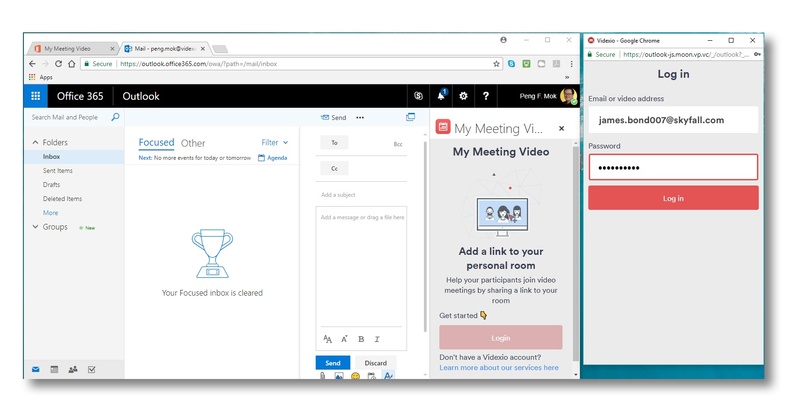 With My Meeting Video for Outlook, it’s easier than ever before to automatically schedule new video meetings with Videxio and your Outlook work calendar. 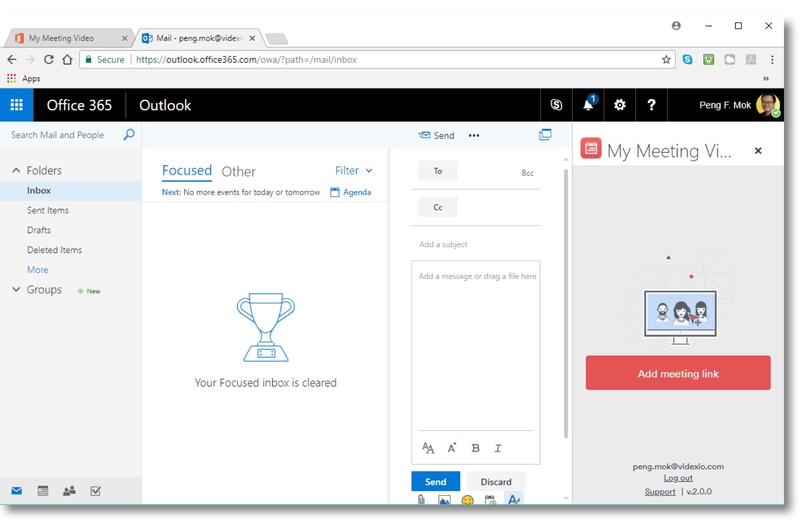 The app provides a shortcut button in your Outlook interface so that when you schedule a new meeting and click the shortcut, your virtual meeting room’s unique link is automatically added to the invite. This link, containing your room’s complete dial-in details, is now available to all guests added to the event invite. No more manual cutting and pasting your video address into invites, or worrying if people will have the right video address for your meeting. 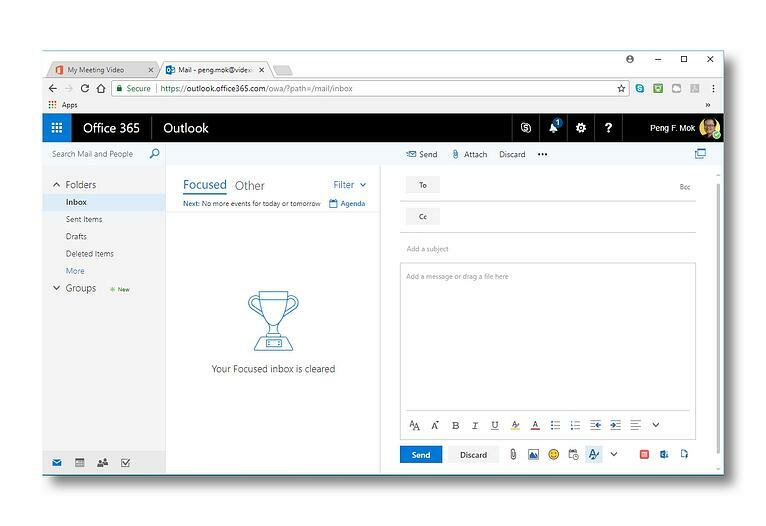 Just add the meeting to your calendar, click the shortcut, and hey presto, all your guests have the same link. We know how powerful video collaboration can be, but we also know it can be frustrating it can be if it's too hard to manage, host, and invite people to your next meeting isn't as quick as any other type of meeting. We believe in a better way to work. We are Videxio. Happy collaborating! Any thoughts on the new app? We'd love to hear them. Drop us a line at any time at feedback@videxio.com!